and Monterey! 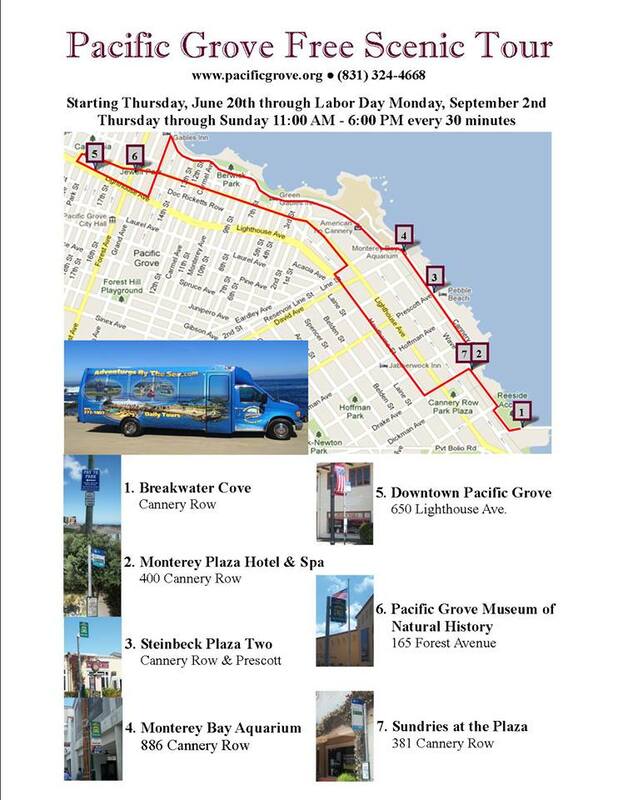 From now until Labor Day visitors can hop on the luxurious mini-coach provided by Adventures by the Sea for a jaunt through scenic stretches of coastline and hot attractions. Free tours are available Thursday through Sunday from 11am to 6pm and run every 30 minutes. 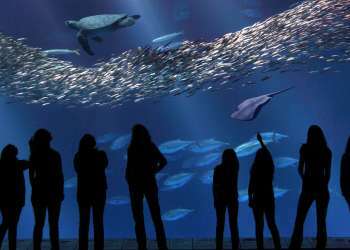 Stops include Downtown Pacific Grove, the Pacific Grove Museum of Natural History, the Monterey Bay Aquarium and Steinbeck Plaza on Cannery Row. 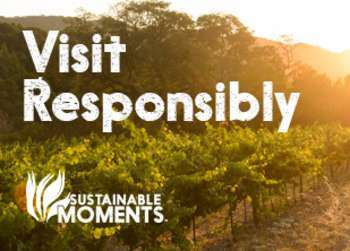 For more information visit the official website or call 831-324-4668.